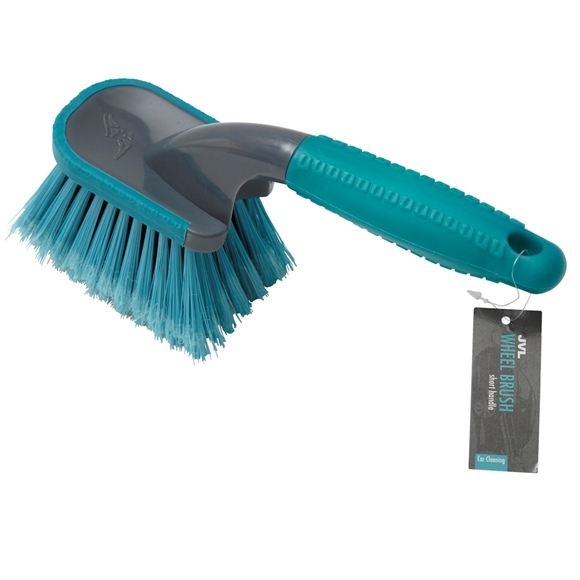 Sturdy short-handled brush is suitable for cleaning in and around wheels. The angled handle allows you to get to the hard to reach places and rubber section offers a comfortable grip. The brush is lightweight and features protective rubber bumpers. Breaks down dirt, grease, and brake dust from tires, wheels, rims etc. Size: H:10 x W:2 x D:7cm approx.